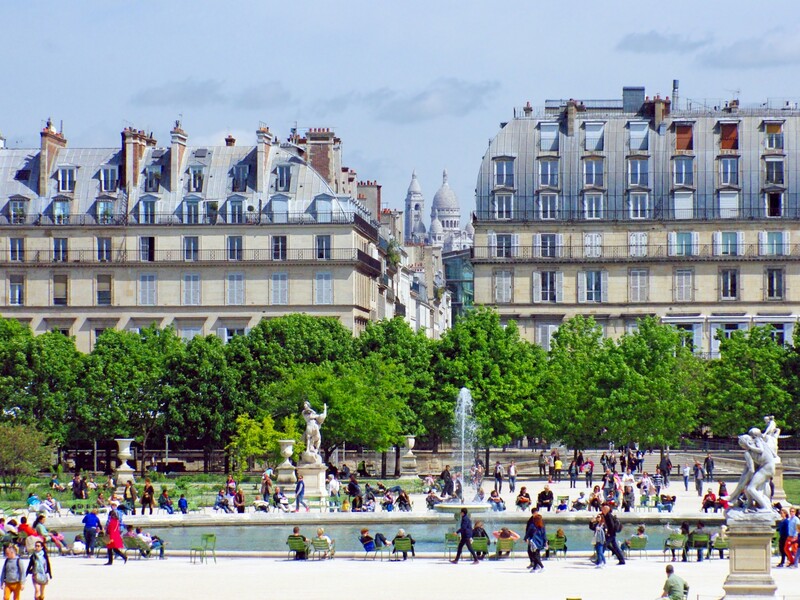 From the Place du Carrousel, the Jardin des Tuileries (Tuileries Garden) offers an unbroken vista along the centreline of the Historical Axis towards the Place de la Concorde, the Arc de Triomphe and the Grande Arche. 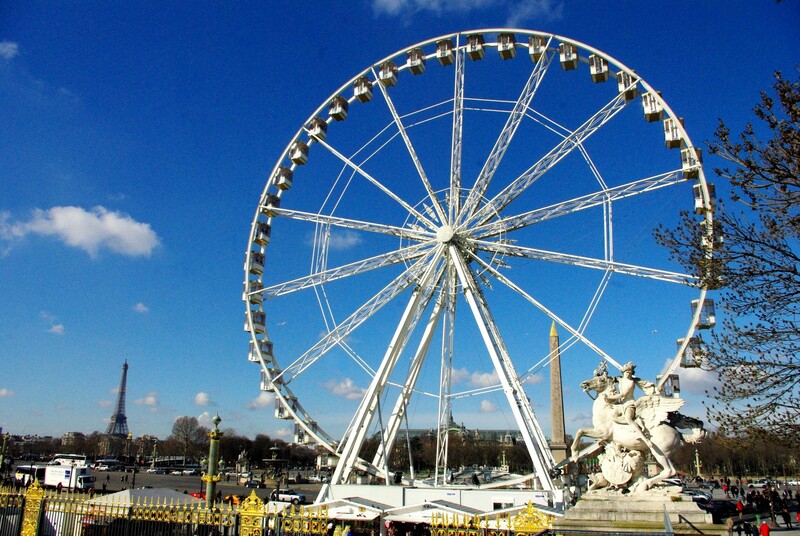 The Tuileries Garden (Jardin des Tuileries) is situated between the Louvre and Place de la Concorde in the First Arrondissement of Paris. The impeccably formal Garden of the Tuileries were designed and laid out from 1640 by André Le Nôtre along the Historical Axis that he started to trace. 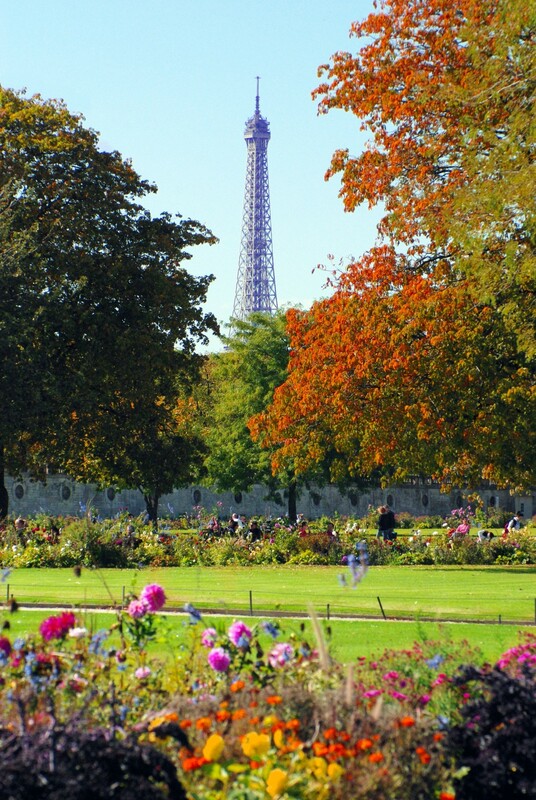 The garden is bordered along all its length, by Rue de Rivoli to the North and River Seine to the South. 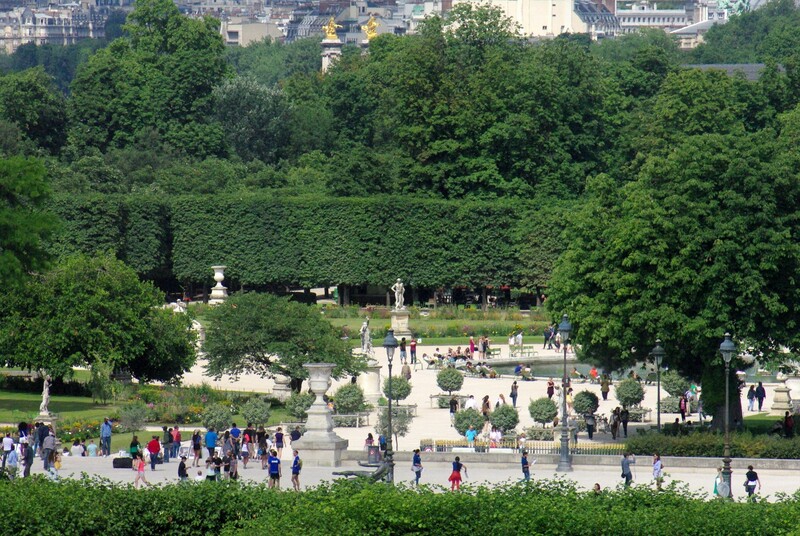 It remains the largest and oldest public garden in Paris today. 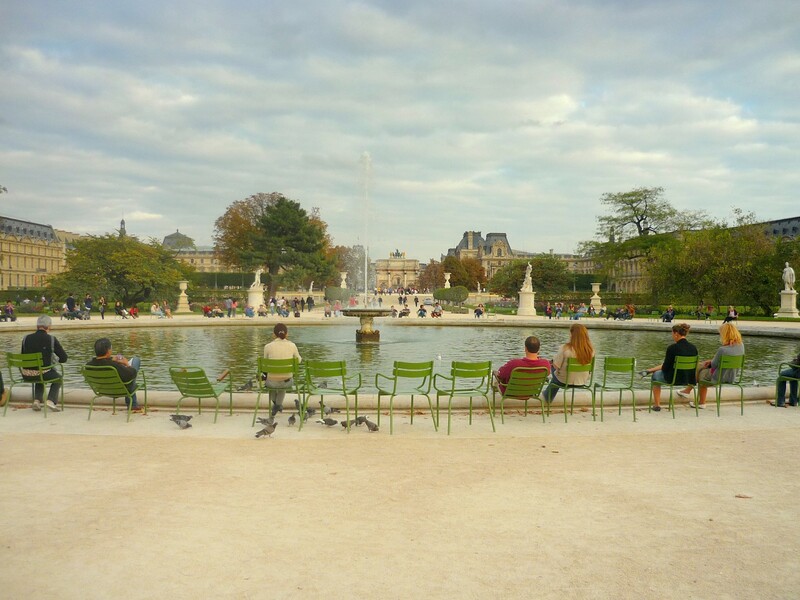 Similar to those in the Luxembourg Garden, the typically Parisian seats in the Jardin des Tuileries are often portrayed in postcards or photographs. They have been placed for public use by the municipality. In summer, children can rent toy sailing boats to sail on the large pond close to the Carrousel. 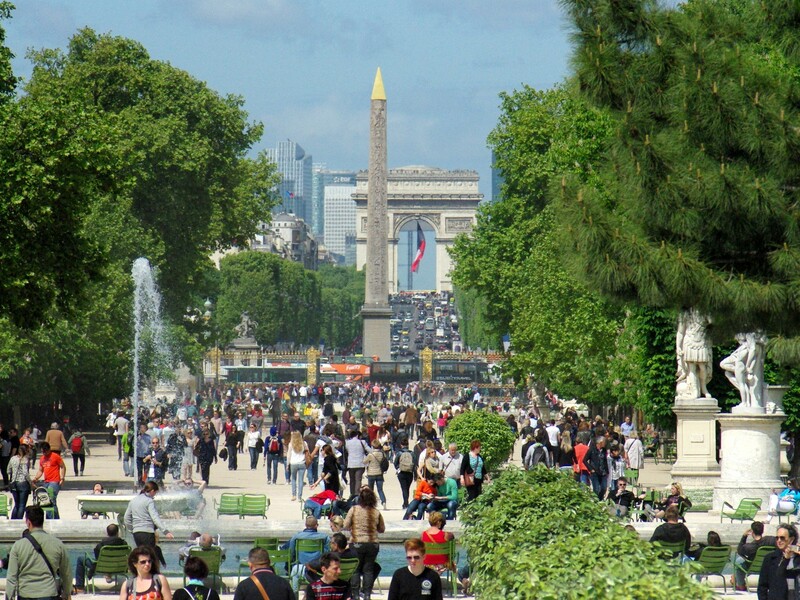 The boundary of the garden and the Place de la Concorde is marked by two terraces on each side, on which two famous museums stand: the Musée de l’Orangerie (overlooking the Seine) and the Galerie Nationale du Jeu de Paume (bordering Rue de Rivoli). 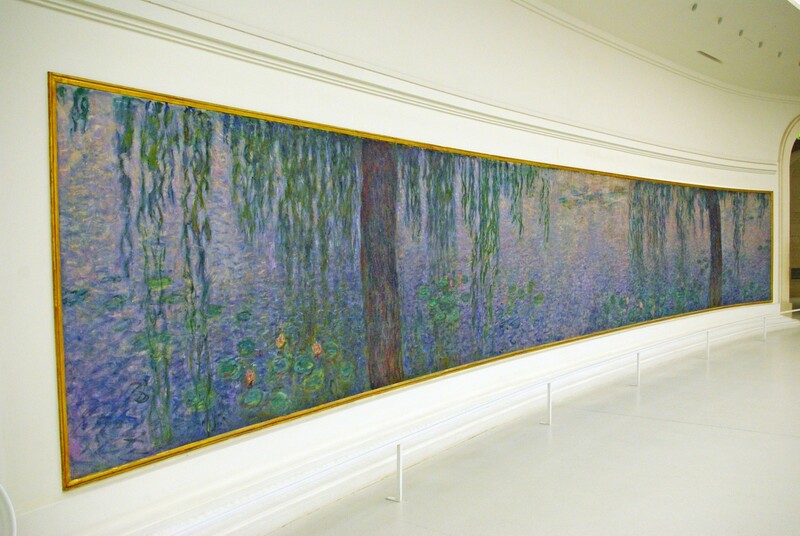 The former houses the famous Nymphéas from Monet, a series of water-lily paintings. The view from the top of the terrace overlooking the Place de la Concorde, the Champs-Elysées, the Arc de Triomphe and the Eiffel Tower in the distance is magnificent. I am making a video for my song speaking about my country France. Your photos are very exeptionals and beautiful. I would like to ask you the autorisation to borrow some of your web site. Can you tell me if its possible, is it under a copyright.